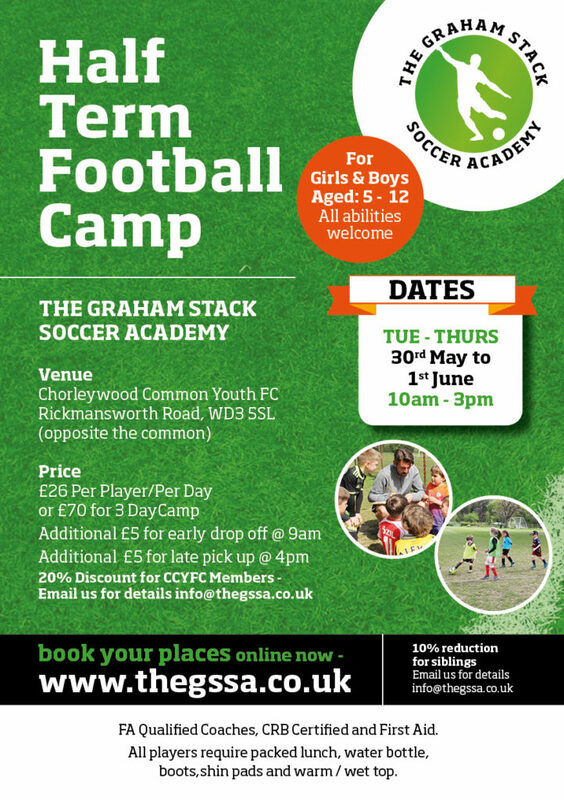 We’ve teamed up with The GSSA who are letting us give away 2 x Free Day Passes (Normally worth £26 each) for their soccer camp during the Half Term May 30th – June 1st. The Camp is for Boys and Girls aged form 5 – 12 of all abilities and has been set up by professional goal keeper Graham Stack who has play for clubs such as Arsenal, Leeds, Reading and Hibernian just to mention a few. To have a chance of winning simply click the link to add your email address and name and we will pick 2 winners out of the hat on Wednesday 24th of May.